Tommy Lee is an American musician. He is founding member of, and former drummer for, heavy metal band Mötley Crüe. Other members of the band were Mick Mars, Vince Neil, and Nikki Sixx. Tommy was born in Athens, Greece, and was raised in California, in the United States. His mother, Vassiliki “Voula” (Papadimitriou), is Greek. His father, David Oliver Bass, was an American, who had English, and some Irish and French, ancestry. Tommy is married to actress and internet personality Brittany Furlan. He has two children, including model Dylan Lee, with his former wife, Canadian-born actress and model Pamela Anderson. Tommy’s paternal grandfather was John Samuel Bass (the son of Josiah J. Bass and Alice E. Oliver). John was born in Wisconsin. Josiah was the son of John Calvin Bass and Nancy Susan McLendon. Alice was the daughter of Samuel P. Oliver and Harriet Rebecca Bates. Tommy’s paternal grandmother was Julia E. Sanders (the daughter of Henry A. Sanders and May E. Patrick). Julia was born in Wisconsin. Henry was born in New York, the son of James Frederick Sanders, who was French, and of Julia O’Connoll or Sullivan, who was Irish. May was the daughter of Harvey S. Patrick and Esther Edwards. Tommy’s father is descended from John Bass, who was born in Suffolk, Virginia. John was the son of William Basse and Catherine/Katherine Lanier/Lanyere. William was the son of John Basse, an English immigrant, and of Elizabeth Nansemond, who was Native American, and a princess of the Nansemond tribe. Catherine’s ancestry is disputed. Some sources state that she too was a Nansemond Native American, while others say that she was born to English immigrants. While some genealogies list her as the daughter of John Lanier and Lucreece Bassano, this is not the case, as their only daughter, Katherine, died as an infant. Henry Sanders was born in New York to James Frederick Sanders, who was French, and Julia O’Connoll, who was Irish. Tommy’s father is descended from John Bass, who was born in Suffolk, Virginia. He was the son of William Basse and Catherine/Katherine Lanier/Lanyere. William was the son of John Basse, an English immigrants, and Elizabeth Nansemond, who was Native American, and a princess of the Nansemond tribe. Catherine’s ancestry is disputed. Some sources states that she too was a Nansemond Native American, while others say that she was born to English immigrants. While some genealogies lists her as the daughter of John Lanier and Lucreece Bassano (who were both English), this is not the case, as their only daughter named Katherine died as an infant. This makes Tommy of at least 1/2048 Native American descent. He is also related – although very loosely – with the Jordan family of Jamestowne. His ancestress, Mary Jordan, wife of Nathaniel Bass, was a daughter of Samuel Jordan, the famous colonist, legislator and planter, who owned the “Jordan’s Journey”. A tradition has it the Basses themselves were originally French Huguenots, who went to England and then to the U.S. Maybe that, too, could be added, though I don’t know how sustained it is. are you sure that John Lanier and Lucreece Bassano were “both English”? rather of French and Italian descent. 1. They are way to remote to care about. 2. I explicitly wrote that they weren’t Tommy’s ancestors in the first place. So I have no idea why you even bring this up. _ But to answer your question, no, I’m not sure. In fact, while they were both English-born, they probably had other ancestry too. There’s no policy. People can submit comments or profiles with whatever they want in it. It’s not like Follers or Ethnic checks every profile submittet so that it only includes 1/1024 of the ancestry. I know there’s people here listed as things as far back as 1/16384. That said, I think it’s good that the site has a general limit. … And French, as well. This is Nicholas Lanier (1544-1610), the paternal grandfather of John Lanier, Lucreece Bassano’s husband, whose heritage I mistakenly thought of as English. If that one’s correct, he’s also English, Irish, and Italian (through his ancestress, Lucreece Bassano). I’ll add up some more if I happen to discover anything. Thank you. Is there any evidence that Tommy has Welsh ancestry? By now, I found none. But I will inform you the instant I do. 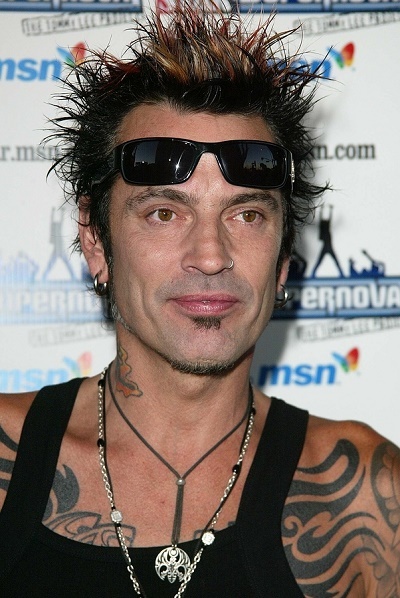 Nevertheless, Tommy Lee STILL IS of confirmed French and Italian descent. The certain source of that evidence, rather than to Catherine Lanier, leads to William Bass’s great-grandmother, Mary Buschier, who was the daughter of Dominick Buschier, born in Sicily, Italy, and Jane Genevieve, born in Rouen, France.